Increase your sales by 15% thanks to automatic recommendations from your store pushed to millions of already subscribers from other websites. 90% of the new visitors you acquire painfully leave without buying? Storeloop turns them into buyers. Fully automatic. Five minutes is enough to connect your Store to millions of potential buyers already subscribed. Then, automatically, Storeloop detects the best product from your online store for each incoming visitor. When he abandons and before he turns to your competitor, he receives on his desktop or mobile lock screen, a push notification with a time-limited discount on the product he likes. No Push permission required! One of Storeloop's great strengths is the extraordinary pooling of the subscription effort. Each store plays his part and contributes to increase the number of internet users who accept to receive some offers via push notifications. 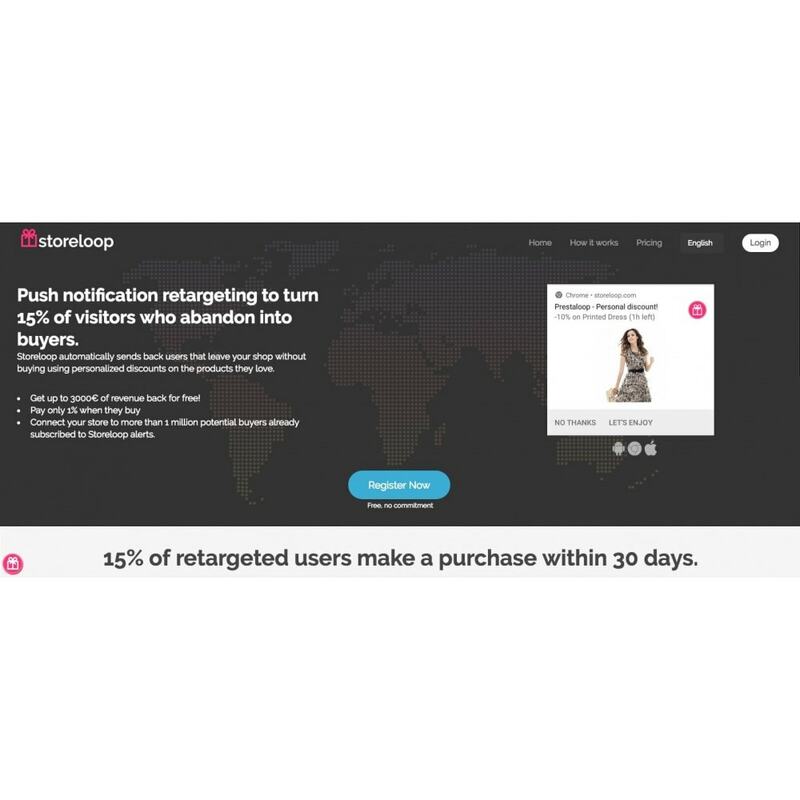 That’s the reason why Storeloop is able to retarget your visitors even if they never subscribed to your website’s notifications. Pay for success only! 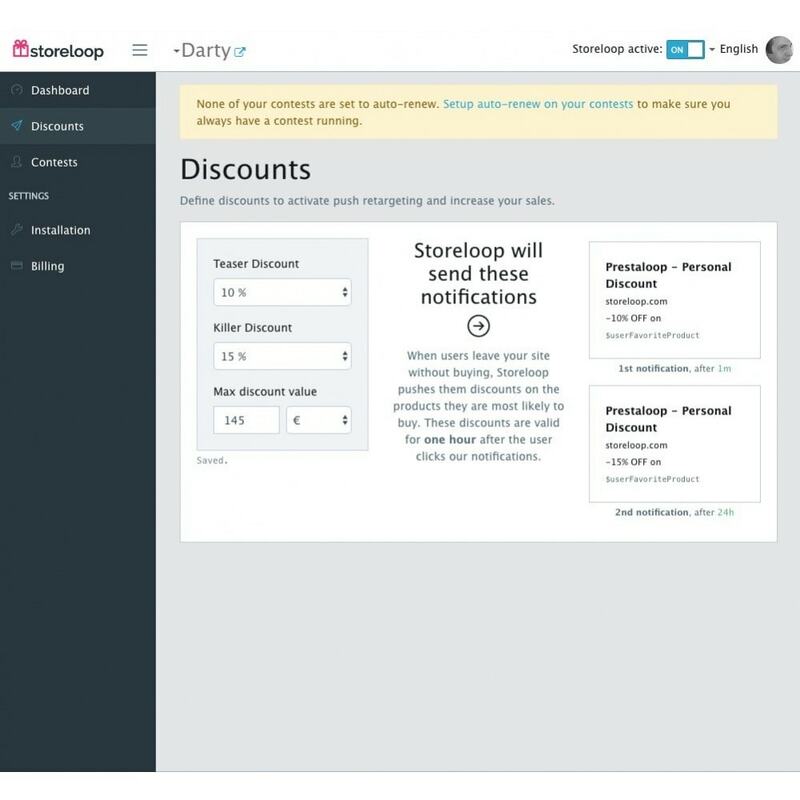 Storeloop only charges you 1% when a visitor is brought back to your store and is turned into buyer. Go further and start finding new buyers. 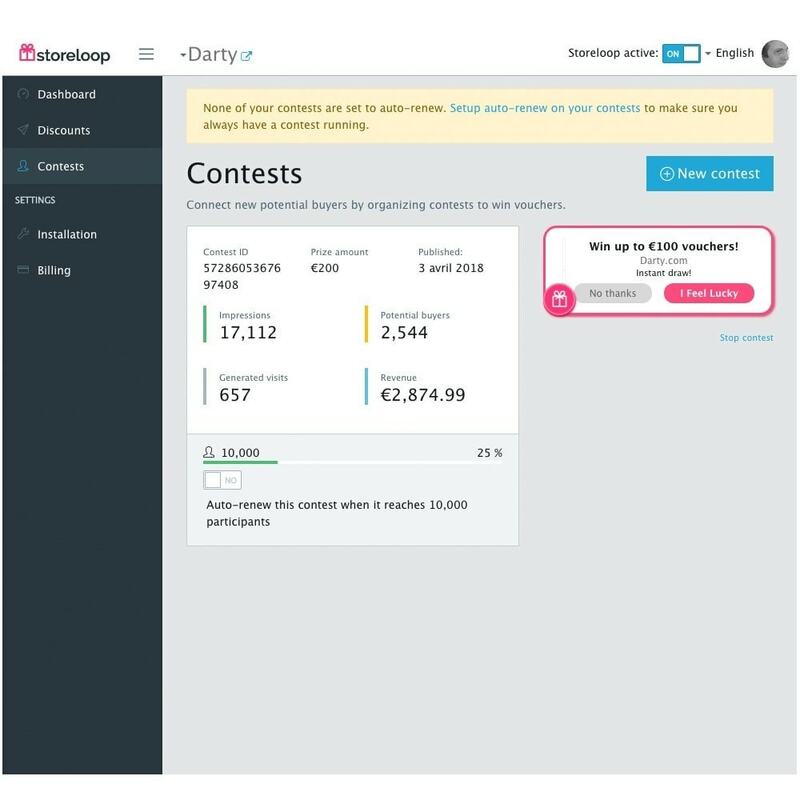 In two clicks, launch contests to win vouchers and detect new potential buyers on affiliated websites. Get up to €3000 of revenue back for free! 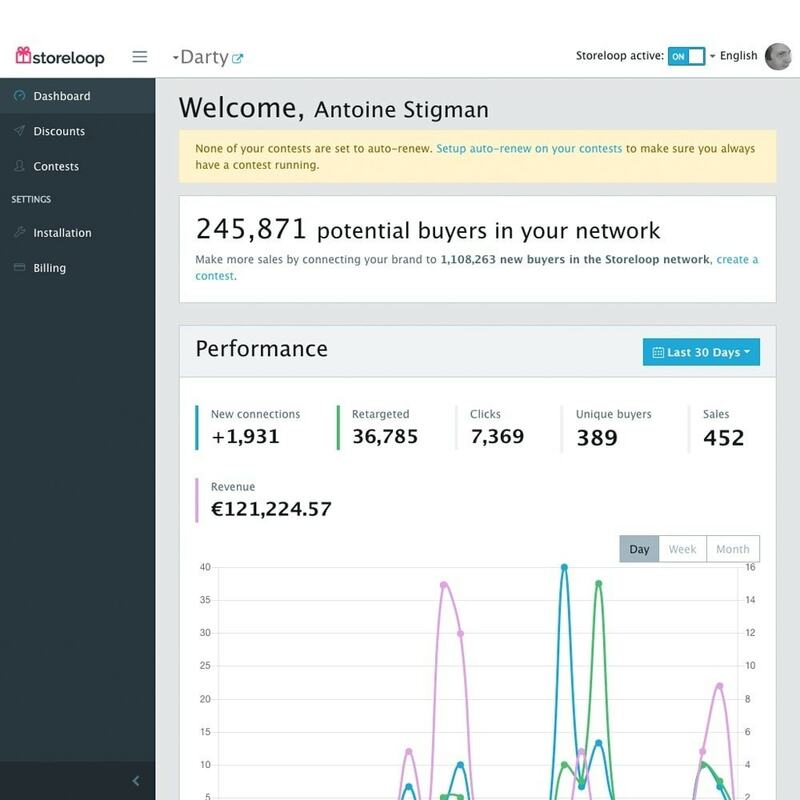 Storeloop will only start charging you when you will have earned more than €3,000 in additional sales. No Push permission required !